Why didn’t my plugs work, it says they will grow anywhere? When this question is asked we play detective to find the reason why. CSI Zoysia has a list of suspects, let’s investigate. Plant the plugs as soon as you can. 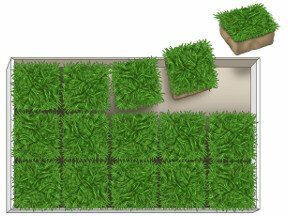 If you cannot plant right away, that’s fine but the plugs must be taken out of the box, laid grass side up, kept out of the direct sunlight and sprinkled daily. The plugs can actually survive 2 to 3 weeds before planting if these steps are followed. Do not leave the grass in the box! Before planting the grass check out the area and make sure it gets at least 2 to 3 hours of direct sunlight a day or the plugs will not grow well. By not stopping and reading the label of products applied to your lawn, such as weed killers, fertilizers, etc you could end up with dead plugs. You want to check and be sure it is safe for zoysia grass, follow their recommend applications and waiting period before planting. Over watering is the Prime Suspect for the plugs to fail. Amazoy zoysia is very drought resistant, too much water can damage its root system. When first planted the plugs do need to be watered daily but only about 10 to 15 minutes once a day, for the first three weeks. Do not over water the plugs, this can kill them. Do not cover the entire plug. Only cover the roots of the plugs, leaving the blades above ground level. After covering the roots step on the plug firmly to eliminate any air pockets. Until the plugs have completely filled in, they still need help with weed control. If you let the weeds take over, they can choke out the plugs. Once the plugs are established, they will choke out most summer weeds. Making sure none of these suspects are threats to your plugs, you should start to see new green blades of grass growing from each plug and you are on your way to a beautiful zoysia lawn! With so many different types of grasses available, how do you know what grass is right for you? There are several different aspects you will need to consider. 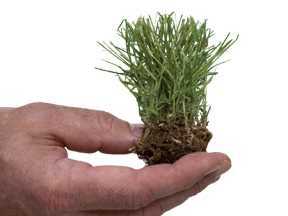 First you need to decide what kind of grass you are going to plant, fescue, rye, Bermuda, St. Augustine, zoysia, etc. Be sure to check on the different strains the grasses have, each one is a little different. It is best to look at the main characteristic such as, how is the grass planted; seed, plugs, sod, etc. Consider what you want from your grass, such as color, maintenance, water requirements, growth pattern, blade size, dormancy, reproduction and durability as well as cost. It is important to check all of these aspects of the grass. Color – Some are a light green, deep green, dark green, blue green, etc. Maintenance – How much is required? How frequent does the lawn need to be mowed, watered, fertilized, weed control applied, etc. 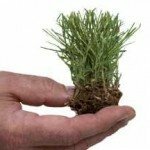 Watering requirements – Is the grass drought resistant? Does your area have water restrictions? What is the average amount of water the grass requires? Blade Size and texture – Do you want a thin blade, medium blade or wide blade? 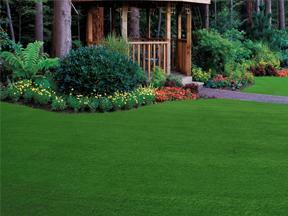 Do you want a grass that feels course, soft grass or a grass that feels like carpet? 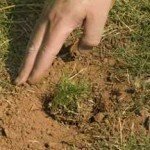 Growth pattern – ﻿Is the grass a spreading grass or does it need to be reseeded each year? 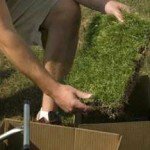 Seasons – Do you want a grass that will stay green all summer, then you want a “warm” weather grass. 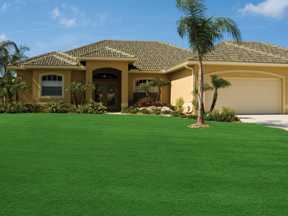 Do you want a cold weather grass that can brown out in summer during extreme heat but stays green in the winter? 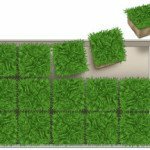 Durability – How much wear and tear can the grass tolerant? Will it hold up to children and pets? Slopes – Do you want a grass with low maintenance and good erosion control or seed the area and hope the seeds take before washing away? There is a lot to consider and research, however remember your lawn is something you will want to enjoy for a long, long time. The right decision can make a huge difference! Lawn aeration is probably the single best thing a homeowner can do for an established lawn. To look its best, a lawn should be aerated at least once per year. Aeration is the process of mechanically poking holes in the soil to allow water, oxygen, and nutrients to better penetrate to the roots of your grass. The best time to aerate your Zoysia lawn is in the spring, just before your grass beings to grow rapidly. Aeration machines are generally available from equipment rental stores. – Make sure the ground is soft enough. Water your lawn the day before you aerate. – Use an aerator with hollow tines which pull up plugs of earth as the machine travels along. – Use a criss-cross pattern. Direct the machine over the entire lawn, going back and forth in one direction. Then direct the machine to cross over the first set of rows in the opposite direction. – Put at least 12 holes per two square feet of lawn. – If you would like to remove the plugs of soil on the grass surface, let them dry a few days, then drag a small piece of carpet across the lawn to break them apart. – Aerate in late April, just as the lawn is ready for vigorous growth. – Use solid-tine spike aerators, which provide less benefits to your lawn. 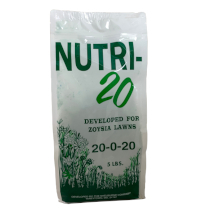 – Aerate if your Zoysia is suffering from drought, the ground is hard and dry. – Aerate during a dormant growth period. – Aerate your lawn within the first year of establishment. – Allows oxygen to get to the roots and the soil, allowing it to breathe. – Allows organic fertilizers and nutrients get access to the root system. – Water is able to better soak the soil and reach the root system. – Helps to break up thatch. – Loosens compacted soils, allowing the root system to grow. – Allows pesticides to become more effective. – Reduces the amount of weeds. Aerating is ecologically friendly and can significantly improve the quality and consistency of your lawn growth. Read more about organic lawn care for your Zoysia lawn. Everyone enjoys a beautiful, green lawn. 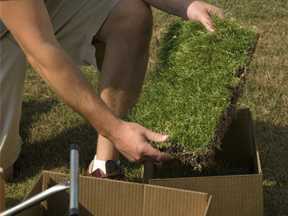 However, lawns can create large amounts of grass cuttings which need to be disposed of. A great way to make good use of your Zoysia clippings that is both easy and environmentally friendly is creating a compost bin in your yard. A few simple steps can help your compost bin be productive, and prevent it from turning into a slimy problem that some may associate with composting. 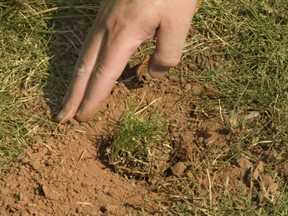 – Mix grass cuttings with a tough more fibrous material like hedge clippings, wood chips, and leaves. The layers of grass clippings and brown material should be alternated. This balances the nitrogen level and provides air pockets that assist the breakdown process. – Check the moisture of the compost. The material should be like a wrung out sponge. If the compost is too wet, add dry leafy material. If the compost is too dry, add water and thoroughly mix it in. – Aerate the compost bin occasionally. Using a garden fork, turn the compost to aid the composting process. Mix the materials to avoid packing, and to increase the air pockets. 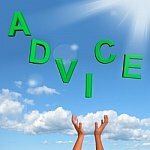 – If you have recently applied chemicals or herbicides to your lawn, wail until the rain has washed them clean before you add them to your compost pile. 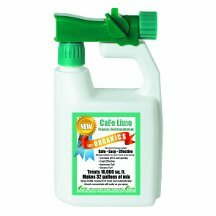 – Add lime to your compost. This will jump start the decomposition process and prevent your pile from developing an unpleasant odor. If all goes well, you will have a nice layer of compost at the bottom of your bin. Find out more about composting, or read more about maintaining your Zoysia lawn the right way.